The Golden State Warriors have struggled on the court without Stephen Curry as of late and were forced to deal with what could have been an unfortunate situation off of it on Friday. Friday morning, Curry was involved in a multi-car accident while he was on his way to the Warriors shootaround. Despite Curry’s Porsche suffering some damage, the Golden State guard was able to evade injury in the collision. According to the California Highway Patrol, the accident occurred just before 9 a.m. PST on Westbound Highway 24 on the Oakland side of the Caldecott Tunnel. It was also reported that Curry was hit twice with the first car making an improper lane change and colliding with Curry. In addition, a second car rear-ended Curry’s black Porsche, which caused further damage. The California Highway Patrol also stated that weather likely played a role in the crash. Curry was able to stop near the center median while he waited for the authorities to arrive. Curry took to social media on Friday afternoon to express his gratitude for coming away from the crash unharmed. Warriors coach Steve Kerr didn’t seem too worried about his superstar after the incident on Friday. Kerr even joked with reporters. “I think he has another car he can drive,” he said. 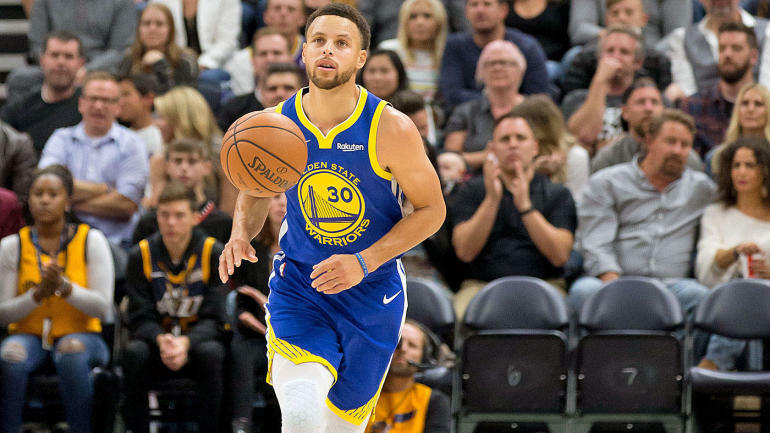 Curry remains out of the lineup for the Warriors, who will look to make it two straight wins at Oracle when they welcome the Kings to town on Saturday (8:30 p.m. ET — watch on fuboTV with the NBA League Pass extension). The All-Star guard is dealing with a groin injury and has missed the team’s last seven games. Curry originally suffered the groin injury on Nov. 8 against the Milwaukee Bucks. The Warriors have dropped four consecutive games entering Friday’s contest, which is the first time that such a streak has happened since Steve Kerr became the team’s head coach.